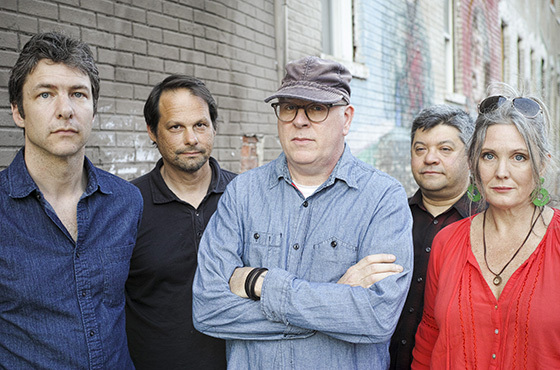 For a band that's fast approaching the thirty year anniversary of its debut release, Eleventh Dream Day still rules the Chicago alt-rock scene with the energetic, feedback-laced fist of a twenty-something. This is nothing new. 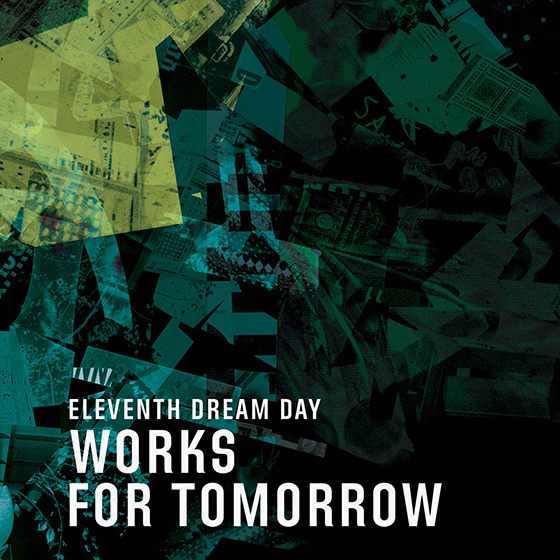 But what's different about the band's latest release, Works for Tomorrow (available in stores July 24), is that there's the experience of an aging rocker added to the pre-existing defiance. Over the course of the album's ten songs, the five-piece group grounds its sound firmly in its tumultuous past but points confidently into the unknown future, spitting hypnotic, fuzzy riffs and rebellious words into the wind without regard for which way it's blowing. For the first time since the 1980s, EDD has brought in a second guitarist, and James Elkington -- formerly of Tweedy -- adds a Foo Fighters-like depth to the album's sound, particularly under Rick Rizzo's blistered-raw solos. As usual, Rizzo brings a devil-may-care attitude to both his vocals and his guitar playing, noodling all over the place like a thrashing shark in distorted sound waves and singing with a brutal Neil Young-esque honesty. Age hasn't detracted from his abilities, and in fact has given his voice a world-weary wisdom perfect for delivering Works for Tomorrow's message of persistence in the face of crushing nihilism. On songs like "Cheap Gasoline" and "The People's History," a detuning chorus effect on Rizzo's vocals adds a vintage punk kick of anarchy to accompany lines such as "Driving with no destination/Cheap thrills and cheap gasoline" and "There is no end and no design." After all that Eleventh Dream Day has been through in its long career -- fights with Atlantic, lengthy periods of inactivity, and the determination to keep rocking even without commercial breakthrough -- its latest album carries an authentic weight that the band bears with rabid energy, serving as an inspiration to anyone who has tired of the mainstream. Some of the most powerful words on the album, though, are delivered not by Rizzo but by drummer Janet Beveridge Bean, who brings Riot Grrrl into the 21st century with her best Dave Grohl screaming impression on "Vanishing Point," the album opener. She also adds haunting octave melodies to the chorus of the title track--really more like shrieks that convey the mood of driving a car off a ramp over the edge of a cliff with both middle fingers raised to the sky--and more earnest dual vocals with Rizzo on the soulful, rootsy "The Unknowing." Overall, the album strikes a nice balance between head-banging punk rock and a Wilco-inspired bluesy, shimmering sound that verges on psychedelic at times. But no matter the style, the theme of taking charge of the uncertain future carries across the work's entirety, right up to the very last words out of Rizzo's mouth: "It all has to end with me, end with me." If you're looking for evidence that you can still find youthful spirit in your middle ages, Works for Tomorrow will give you that faith. If you're just in the market for some good hard-rocking music, the album works just as well. If you're taken by the songs, you can see Eleventh Dream Day perform live this Friday at The Hideout, located at 1354 W. Waubansia. Doors open at 9:30pm and tickets are just $12. Riot Grrl is not the only alternative way to describe a woman's voice if she's not a pop artist. There are better descriptors out there, especially some really tasty gender neutral ones.